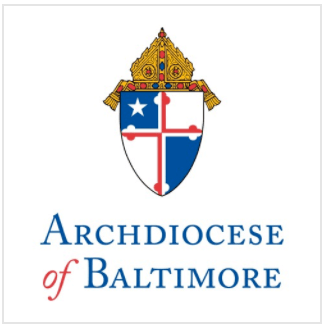 Archbishop Edwin F. O’Brien, Archbishop of Baltimore and President of The Cathedral Foundation, announced today that Mr. Christopher Gunty has been hired as Associate Publisher and Editor of The Catholic Review and Chief Executive Officer of the paper’s parent company, The Cathedral Foundation, replacing Mr. Daniel Medinger who resigned in February after leading the paper for more than 20 years. Mr. Gunty most recently served as Associate Publisher of The Florida Catholic, overseeing operations of the Catholic newspaper of the Archdiocese of Miami and the Dioceses of Orlando, Palm Beach, Pensacola-Tallahassee and Venice. With a total circulation of more than 120,000 people, The Florida Catholic, under Mr. Gunty’s leadership for the past six years, earned more than 25 awards, including the General Excellence Award from the Catholic Press Association (CPA). Prior to leading The Florida Catholic, Mr. Gunty founded The Catholic Sun, the diocesan newspaper in Phoenix, Arizona, where he served as Managing Editor and Associate Publisher for 18 years. Under his leadership, the twice-weekly newspaper grew from a circulation of 85,000 in 1985 to more than 116,000 in 2003 and received more than 70 awards. He began his career at The Chicago Catholic in 1981, working his way up from Circulation Manager to Managing Editor during his four year stay at the paper. He received the CPA’s St. Francis de Sales Award for outstanding contributions to Catholic journalism in 2000. Mr. Gunty begins his new position on July 1, 2009.